Our award-winning, multi-solution device is FDA-cleared and clinically-tested for improved facial contour, skin tone, and wrinkle reduction to give you a more radiant, younger looking appearance. 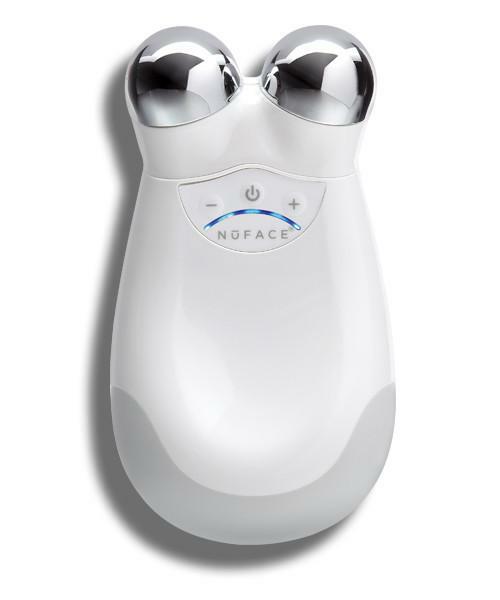 From a 5-minute facial-lift to more advanced contour and definition techniques; learn how to use your NuFACE Trinity with Facial Trainer microcurrent device to obtain optimal results. Our most popular treatment that is clinically-tested to improve facial contour, skin tone, and wrinkle reduction across the jawline, cheek area and forehead. 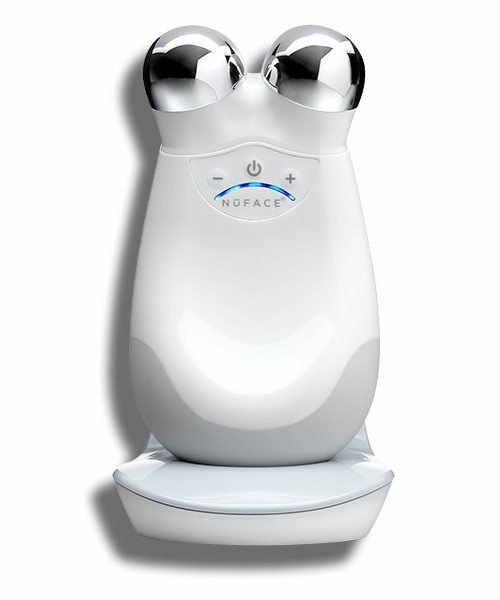 NuFACE brings microcurrent technology into the daily beauty regimen of women and men. The brand’s flagship product, the Trinity Facial Toning Device, is a unique, patented system that uses interchangeable attachments and topical treatment products to deliver age-defying results. (1) NuFACE Trinity Device, (1) NuFACE Trinity Facial Trainer attachment, (1) 2oz. Gel Primer, (1) Charging Cradle with Power Adapter. -Each treatment should last five to 20 minutes. -Use the NuFACE Device at least five times a week, for the first 90 days. After that, use two to three times a week to maintain results. -Start by washing your face with an oil-free cleanser. Men should shave before use as hair can interfere with the conductivity. 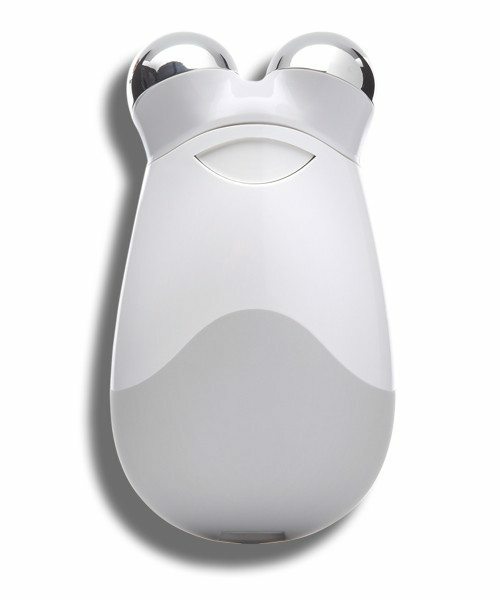 -Glide along the natural contours of your face, in an upward motion. Each glide should last five seconds. -Remove the NuFACE Primer with a warm, damp washcloth.